Problem: I got this error when trying to retrieve list items using CAML SPQuery. 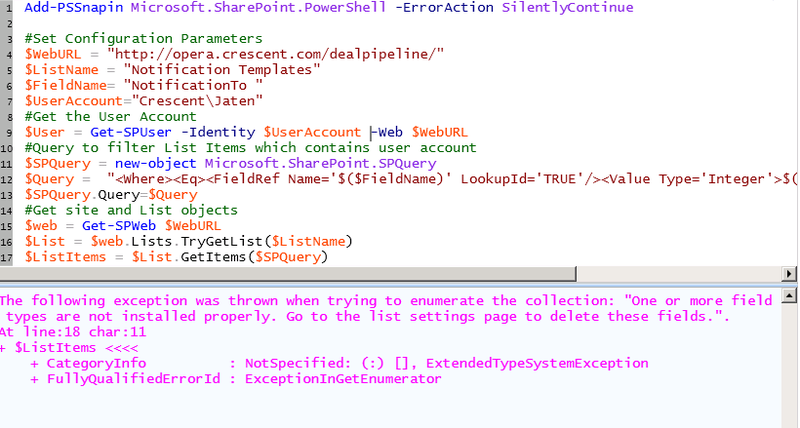 Root Cause: There was a field "Artifact ID" in the list, but the internal name was "Artifact", so it resulted error! Adjusting the internal name in the Query XML fixed the problem. types are not installed properly. Go to the list settings page to delete these fields."